Pity the poet who writes of salt ponds and claw marks on beech trees without the requisite natural-world familiarity. Better: pity her reader. There is no doubt that Dede Cummings’s hiking boots have suffered the ravages of Vermont blizzards and the indignities of losing their way in muddy New England woodstocks. 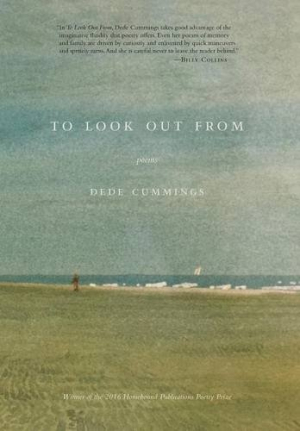 Her technically beautiful, dreamy poems span many years of memory and favor the cavorting of family life. The founder of Green Writers Press and a book designer, Cummings attended Middlebury College and the Bread Loaf Writers’ Conference.